Ben Rahn has been photographing architecture and interiors for more than twenty years. He founded A-Frame Studio in 2003 out of a desire to combine his love of design with his keen photographic eye. His work has been recognized internationally and has appeared in publications such as Dwell, Wallpaper, Condé Nast Traveller, and more. He resides in Toronto, Canada and splits his time between his Toronto and Brooklyn studios. The owners of these unique homes have a number of interesting projects of their own. Check some of them out below. 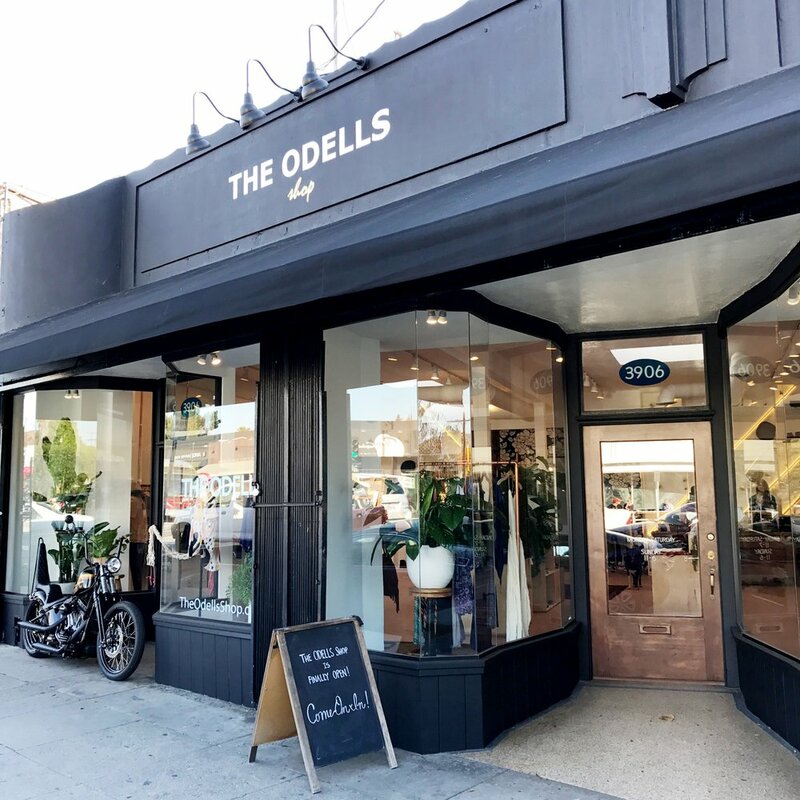 One of the best fashion boutiques in Silver Lake, Los Angeles offers wide varieties of clothing and accessories for men and women. Custom picture framing along with vintage collectibles, handmade gifts and a variety of house plants, succulents and cacti. In Lake Arrowhead. Hand crafted ceramics inspired by women, art and fashion. Including home decor, hand poured candles and dinnerware - hand crafted in the Hollywood Hills. Christine's inspiration is drawn from her Scandinavian roots, the playful artwork of her children, and the breathtaking coastal views outside the door of her studio. Works are large scale acrylic abstract paintings. Interior decorator and founder of Insieme House, Astrid Insieme, translates her penchant for visual decadence into worldly interiors that are just as informed by exoticism as they are rooted in traditionalism. Her curated collection of homewares lends itself to the creation of eclectic and original spaces that are always infused with a global, well-traveled flavor. Le Souk Le Souk, an online boutique inspired by travel, textiles and female power.Founded by wanderlust, mother and Southern Oregon native, Anna Margaret – Le Souk Le Souk is a dream space filled with colors and textures that inspire the soul and captivate the eye. Clothing designed by women for real women, made to last with consciousness and care. Textiles for your home hand embroidered and woven across the seas, heirlooms to be cherished and passed down.